For all those who have been asking me for links to download various infinix stock Roms and all others who have been searching for it, i have finally decided to drop the download links here. So for all those who bricked their phone maybe while trying to upgrade or while doing some other stuffs on their device, or maybe those who want to downgrade back to kitkat or probably upgrade their device to lollipop. This links will really come in handy. All thanks to the infinix mobility forum and most especially Vipelshaer for dropping the links. 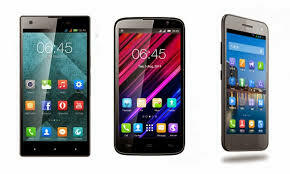 I will be posting the links for both the kitkat and lollipop Roms of all infinix devices starting from the infinix Hot X501 to the infinix zero 2 X509. Note that you will need a pc to flash the rom and for all those who are new to flashing of Roms, you can check out this link for detailed instruction on how to go about it. For those of you who bricked your device while trying to upgrade and your phone is not coming up at all or charging, just leave your phone for 24 - 48 hours for the battery to die off completely then follow this LINK to unbrick. Hi guys how all are you??. My phone clock speed 1.4ghz and infinix zero 2 509 is 2ghz..
thanks, i install lollipop on my infinix zero. it worked perfectly. i flashed my infinix zero with lolipop and i find it difficult to root it, is it that it cant be rooted at the moment or the king root am using is outdated. stock ROM for infinix note 2 ??? @yomi, can i downgrade x551 pro 16+2 dat has lollipop with kitkat stock rom dat has system.img file missing,and then use my cwm recovery to restore kitkat system partition? Pls show me steps! 2ndly, all x551 pro kk stock roms i've got are error-prone, is urs full version, and does it decompress all its contents successfully without errors to avoid stories that touch. For the first question, nope you can't. You actually need a full firmware to downgrade..
And for the second question, No it has no error.